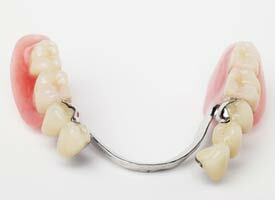 Traditionally, removable bridges have been the simplest way to replace missing teeth. This is done by means of a single appliance that is held in place either with clasps or suction. Although many patients still wear these, the procedure is becoming decreasingly popular with the advent of dental implants.